We have been together almost 12 years and I was a bit skeptical we even needed a guide. And to be honest, I felt defensive when my wife passed it to me all excited about it. But Forever changed me. It’s based on science and research, but it also just makes a lot of sense. Most of all, our relationship is taking a significant jump for the positive. And that’s incredible. P.S. : Go for it and apply it, this stuff works -Harry F.
Does the following sound familiar to you? A great start of relationships and big hopes. Then, little by little, the magic fades and reality sets in. 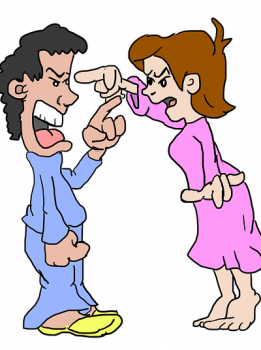 That reality could be either a humdrum relationship in the “best” cases, or a combative relationship full of arguments and fight. In my opinion, there are no “best cases” there tough. Especially when you can fully control how great your relationship can be. Sure, most people settle for “OK enough” relationships. But most people also settle for unhappy lives, jobs they hate and unfulfilling lifestyles. Forever is for people who don’t want to settle for “OK” relationships as their best option. This guide is for people who want to achieve greatness together. Why relationships of “quiet desperation” is such a common occurrence? It’s because most of us aren’t born knowing the basics of great relationships. And I speak from first-hand experience. And of course, we aren’t taught how relationship work. We learn equations in school, some of us “learn” French and even a history of religions. Yet not a single minute goes to teach social skills and relationships. In spite of the fact that science tells us relationship are the biggest determinant of a happy and healthy life. With that approach towards learning, most people accept that relationships grow dull and boring as a fact of life. “That’s just how it goes”, they sigh. Time only make solid relationships better, not worse! There are plenty of couples who grow stronger together and make their life more and more fulfilling.. They are not the norm, but you bet they exist. And they show us it’s possible to be awesome together for the long haul. What if you knew exactly how to make relationship works. Not chit chat about love, but exactly what makes a relationship great and what you can do to make your relationship great. How would your life change if you could turn your present relationship into the best relationship you have ever had? Or beyond what you thought was even possible? Here’s a quick truth for you: if you take the time to go through all the best available relationship sources… You will have a great relationship. And you would have no use for this guide. You wouldn’t need this guide at all! This guide is for people who are not sure what are the best resources and where to begin. And for those who want to absorb that information reliably, quickly and effectively… Because they don’t have months of free time to spend on their own research. If you are one of those people short on time, then read on. The relationship literature is great. Extensive laboratory research has been carried out over the years while couples kept being monitored. Today we know what type of behavior and communication leads to breakups and what type of behavior and communication leads to successful, fulfilling relationships. There are also a number of high-quality books from relationship counselors based on their decade-long clinical experiences. This is what Forever offers you: a shortcut to all that life-changing information. Forever offers you the tools and information to revolutionize the quality of your relationship in the shortest possible amount of time. Forever is your cheat-sheet shortcut. In one hour you will know 80% of all there is to know when it comes to relationships. And if you need more details, you will get more links and titles in case you want more on a specific topic. People who want to improve their romantic relationship. In case of updates, I will email you an updated version. Studies, researches, psychology and all the books I read over here.